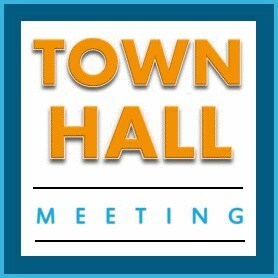 Please join CHSLSJ Leadership Team and members of the Board of Trustees, on Friday, April 13, 2018, at 6 pm for a Town Hall meeting to discuss School Safety and our new security initiatives. We will share additional ideas and seek your input. We must work together as partners, with community support, to ensure that students feel safe coming to School and going home. Por favor únase del Equipo de Liderazgo, y miembros de la Junta de Fideicomisarios, el viernes 13 de abril de 2018, a las 6:00 p.m. para una reunión del Ayuntamiento para discutir Seguridad Escolar y nuestras nuevas iniciativas de seguridad.